Online ordering menu for Two Guys Pizzeria. Located near the intersection of Greenbriar Dr. and West Holcombe Blvd. in the Medical Center Plaza of West Holcombe, Two Guys Pizzeria has become a neighborhood haven for amazing, hand-tossed pizzas, wings, subs and salads. At Two Guys, we use only the finest toppings and ingredients and never skimp on quality. Our huge selection of specialty pies include classic favorites like Margherita and Hawaiian pizza and also include Two Guys originals like our famous J & J Special--made with Pepperoni, feta cheese, fresh mushrooms, fresh garden tomatoes, mozzarella cheese and our house made pizza sauce. Add a side of Beef and Jalapeno Pizza Rolls and a Garden Salad and you have yourself a meal the entire family will enjoy. 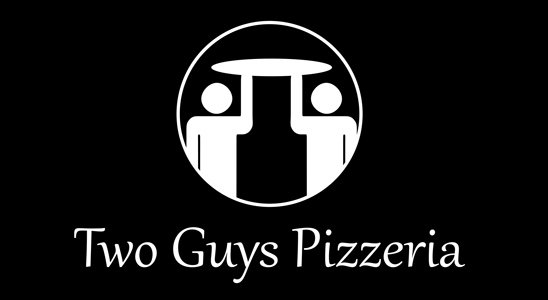 Order Two Guys Pizzeria Online Today for Carryout or Delivery!